Please use the links below! 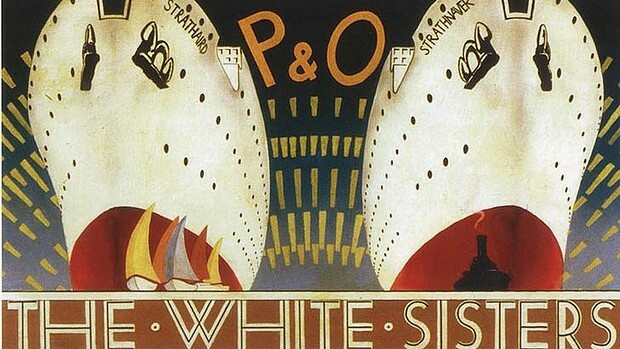 Capitalising on the success of the Viceroy of India of 1929, and in particular, the satisfactory operational performance of her innovative turbo-electric propulsion system, P&O's directors embarked upon a fresh identity for their new passenger liners, adopting the prefix 'Strath' for a new class of five 22,500 ton, twin-screw ships. Each were to have two main turbo-alternators, powering slow-speed synchronous electric motors, coupled to each shaft. 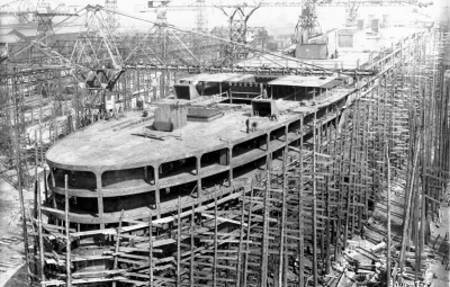 Quieter in operation, the combination of steam turbines and electric motors, housed in the same compartment, significantly reduced the amount of space taken up by a traditional engine room, thereby increasing the new ships' passenger and cargo carrying capacities. 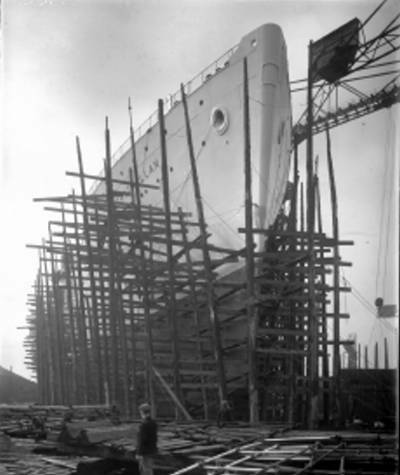 All their P&O predecessors had black-painted hulls and funnels but Strathnaver and her sisters were painted with white hulls and buff funnels, which earned them several nicknames: "The Beautiful White Sisters", "The White Sisters" or simply, "The Strath Sisters"..
Orders were placed with Vickers-Armstrong for the first of two ships, laid down as Yard Numbers 663 and 664. Launched by Lady Janet Bailey, Lord Inchcape's second daughter, on 4th February 1931, Strathnaver departed Tilbury for Australia on 2nd October. 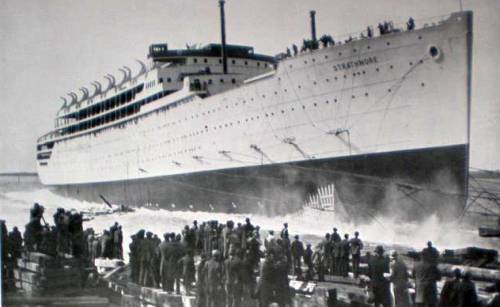 Strathaird was launched on 18th July 1931, by Lady Margaret Shaw, daughter of Lord Inchcape, Chairman of P&O, standing in for her mother who was unwell. 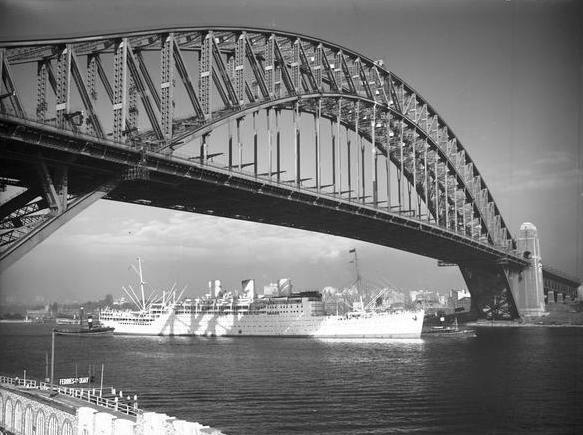 After completing sea trials on 10th January 1932, she sailed for Australia on 12th February. 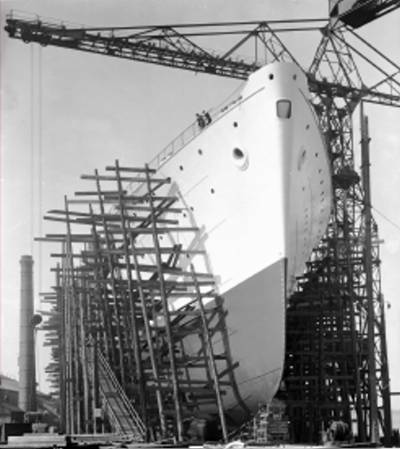 Strathmore was launched by Her Royal Highness the Duchess of York, daughter of the Earl of Strathmore and later Queen Elizabeth the Queen Mother, on 4th April 1935. A notable inclusion in her design was air-conditioning in the first class dining saloon - the first time this had been installed on board a P&O ship. 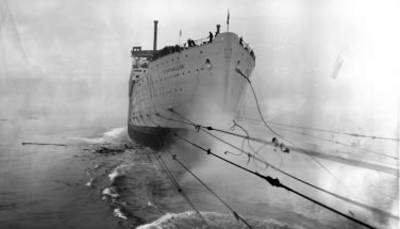 She was handed over to P&O on 18th September and sailed for Tilbury - only to encounter bad weather - arriving some twelve hours late. 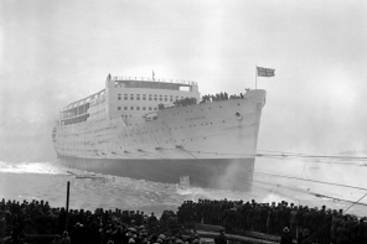 On the 27th, she left Tilbury on an initial 'shake-down' cruise, prior to her first scheduled main line voyage to India on 26th October. 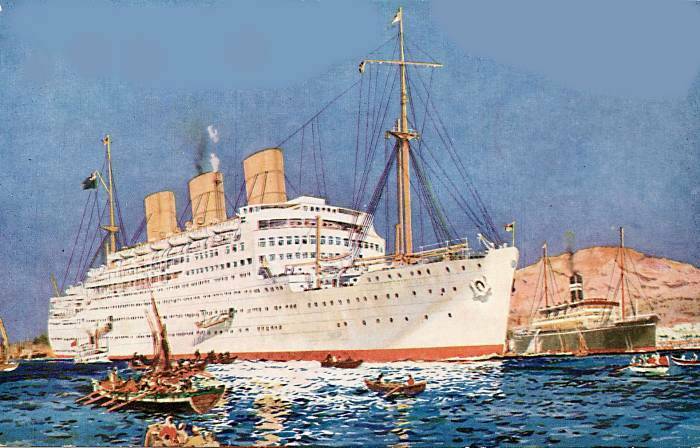 Launched by the Duchess of Buccleuch and Queensbury, Stratheden was handed over to the P&O on 16th December 1937, leaving Tilbury for Australia on the 24th. 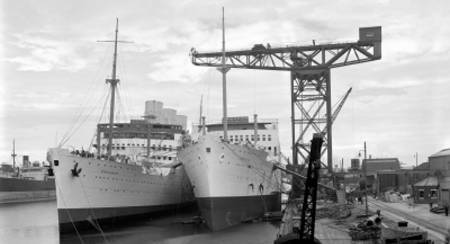 In many respects a repeat of the Strathmore, she had fewer uprights supporting her promenade deck, and a funnel that was 9 feet taller. 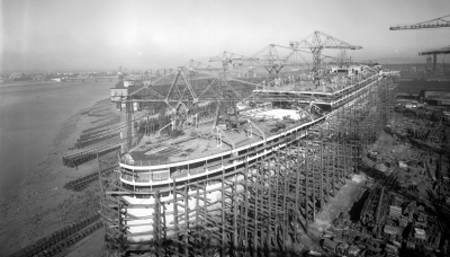 In addition, she was the first P&O ship equipped to carry a cargo of chilled beef. 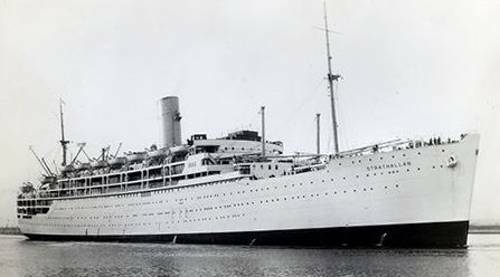 Launched by the Countess of Cromer, wife of a P&O Director, Strathallan joined the P&O fleet on 10th March 1938, sailing for Australia on the 18th.